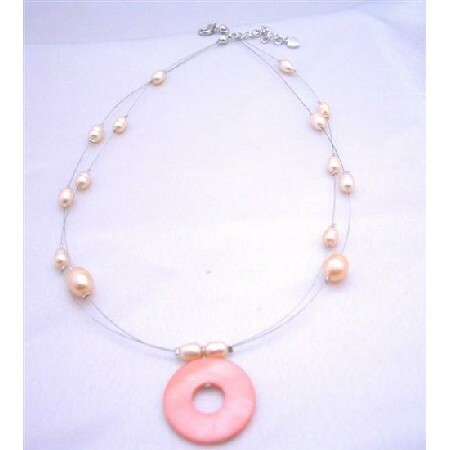 .Bountiful.lush.full-bodied theatrical adornment is teeming with High Quality Freshwater Pink with Round Pink Shell Pendant accented in double stranded wire in rich complimentary colors that work magic as they delight the senses! A party on your Neck. festive Cool Color of Freshwater Pearls Handcrafted Custom Jewelry absolutely unique.